Lucknow : There is nothing new in hearing that Samajwadi Chief has slammed his son and Chief Minister of Uttar Pradesh Akhilesh Yadav. But, this one is definitely one of his hard hitting comments. 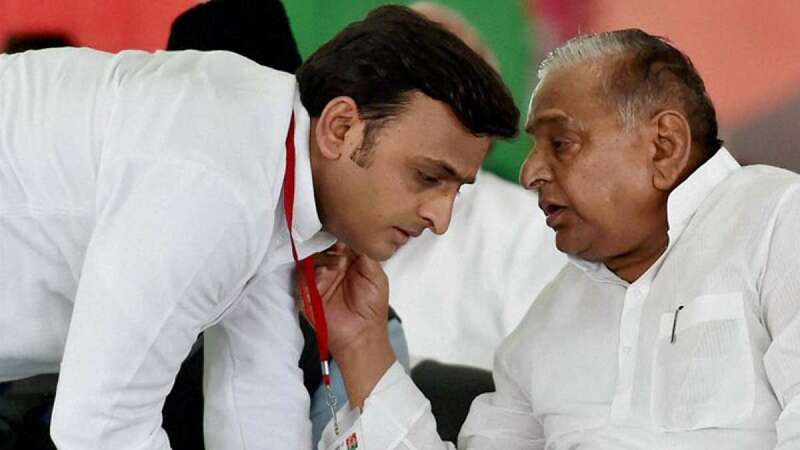 This time, Mulayam Singh blames Akhilesh Yadav and claimed that his brother's advice to drop his son as CM in 2012 polls would have landed him at Prime Minister post. According to a report in Times of India (September 18), Shivpal was opposed to Akhilesh being made CM after the 2012 polls and had suggested that he should be elevated to the position only after the 2014 Lok Sabha elections. But eventually, everybody agreed and Akhilesh became the CM. The report also quotes Mulayam Singh, "What happened despite his being the CM? Only five members from the family won. If I had listened to Shivpal, we would have won 30-35 seats and I would have been the PM." # Mulayam Singh on Saturday claimed that his son Akhilesh Yadav is the reason why he is not the Prime Minister of India. # He also claimed that Shivpal Yadav was opposed to Akhilesh Yadav being made Chief Minister of Uttar Pradesh in 2014. # Shivpal Yadav has been reinstated to Akhilesh Yadav government and has been given state president post. # There were also reports of Akhilesh Yadav keeping PWD with him.